Mommy and Me items have always been a big hit I think. I remember having a couple of outfits that matched my mom when I was a little girl and I always felt so special wearing them. It’s a little hard finding Mommy and Me items with triplets because most things come as a set with only one item for Mommy and one for Baby. Bracelet sets are something I found that I am loving though!!! They’re perfect with three identical girls because I can assign each baby a color and then incorporate all 3 of their colors into mine. Here are two very different but equally adorable and stylish versions. The braided set is from Hazel Love Design Company. 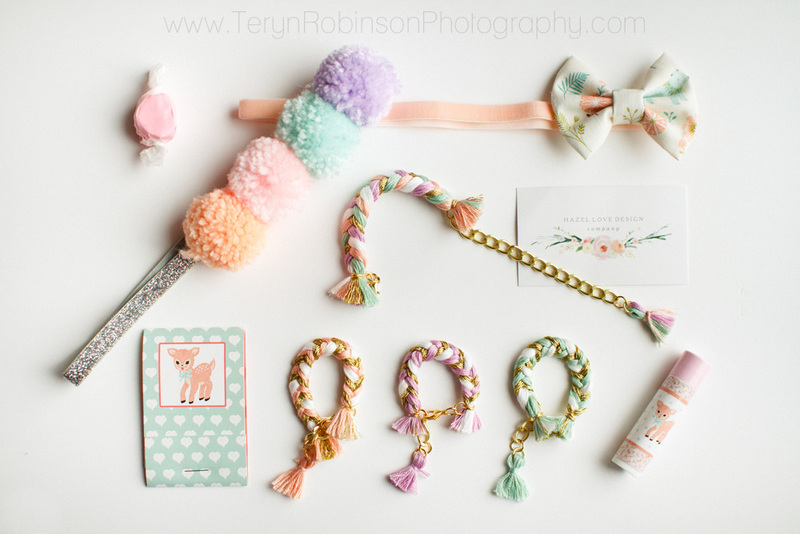 Also pictured are bow and pastel Pom pom headbands from Miss Rubylocks, and Flora Fawn matchbook paper pad and Chapstick from Live Sweet Shop. The second set is a beaded version from Poppy Lane & Co. I love the look of bracelet stacks! Pictured also are Beatrice Bunny goodies from Live Sweet Shop.